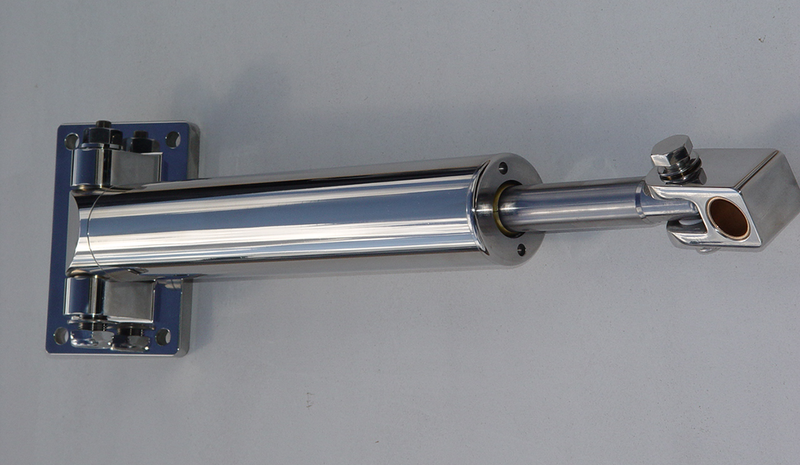 This High Performance unique design, hose-less steering / rudder cylinder is the Best- Engineered and manufactured in the USA. Used on most of the triple digit fasted boats ever built, both pleasure and race. 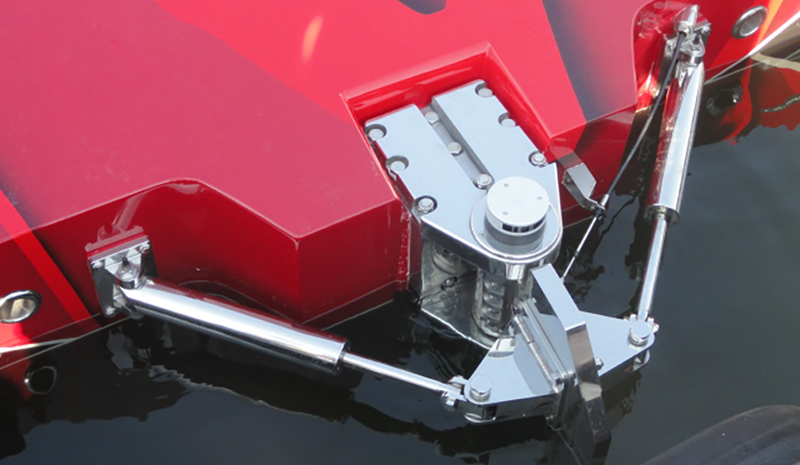 #1 in quality, Zeiger Marine Products hitting the target for quality surpassed by none. Only with the best engineers, the best materials available, and the best equipment and facility, can a company make such a claim. Starting with the one peace solid stainless steel transom mount ( NOT A WELDMENT ) all external hose and connections are eliminated. The oil circuit flows through the precision machined transom mounting bracket, through the mounting bolt and into the cylinder end cap. 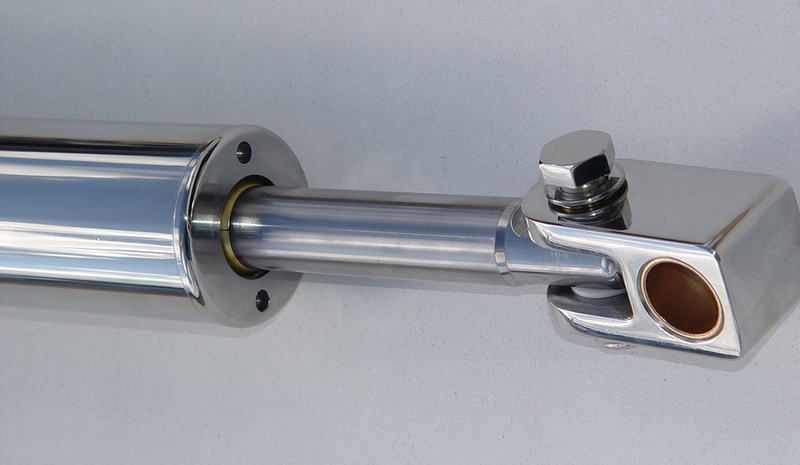 This cylinder as well as all of the Zeiger cylinders come standard with their external rod scraper, this keeps the cylinder rod clean in order to protect the internal seal from failing. Custom cylinder and mount. Made to Customer Spec. Stroke & rod length required.